When you’re cooking at home or going out to eat, the chances are good you will consume some form of cooking oil. Some choices are healthier than others. I touched a little on this in my last blog: Fully Loaded Inflammatory Foods. To some varying degree, cooking oils contain three forms of fats–saturated, monounsaturated, and polyunsaturated. Let’s take a look at each one. Saturated fats for a number of decades has been given a bad reputation, falsely accused of causing heart disease. As I mentioned before, saturated fats when in the absence of processed carbohydrates and in the presence of omega-3 has been shown to have no negative ramifications, and may possibly lead to a positive outcome. Saturated fats are the most stable fats to eat because of their molecular structure. Good examples of saturated to consume are eggs, butter, and salmon. And let’s not forget omega-3 fish oil is a saturated fat which we know to be heart healthy. Monounsaturated fats are similar to saturated fats seeing that they are healthier options to cook with and consume. 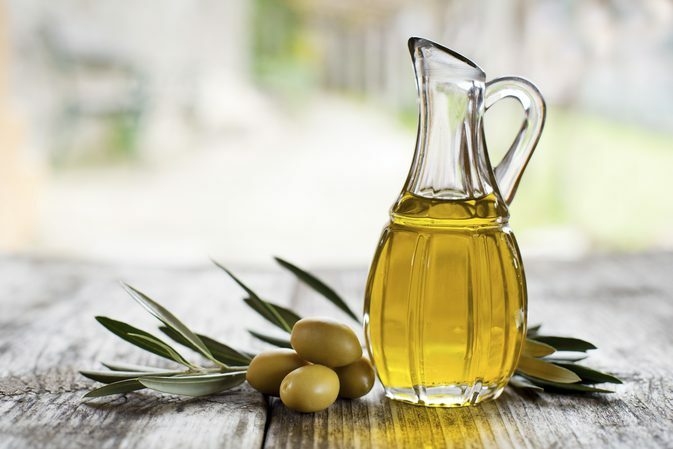 Even though they are more stable than polyunsaturated fats, monounsaturated fats should still be cared for by coming in a dark bottle, or metal container so light cannot come in contact with the oil. Good examples of monounsaturated fats are olive oil and avocado oil. Polyunsaturated fats are most commonly found in restaurants and the prepared foods you find at the grocery store, especially processed foods. Polyunsaturated fats are by far the most unstable out of the three oils, making them more inflammatory. When a fat is unstable there is a higher risk of it oxidizing. When fats come in contact with oxygen it causes them to oxidize. When fats oxidize they become rancid which creates free radicals. Free radicals can do extensive damage to your cells. Polyunsaturated fats are much more vulnerable to oxidizing than monounsaturated and saturated fats. In fact polyunsaturated fats can become rancid simply from exposure to light through a clear glass bottle. When heat is added to the oil it exponentially increases the risk of free radical damage to your cells. Vegetable oils are the most common type of polyunsaturated fat. Ironically they do not contain any vegetables. Vegetable oils are made from seeds and legumes grown for industrial use, not human consumption. The most common types of vegetable oils come from canola, corn, cottonseed, safflower, sunflower, and soybean. The seeds and legumes are chemically processed in order to extract the oil by using solvents. A deodorizer is then added to mask the chemical smell from the oil. Again these oils were never intended for human consumption but for some reason they are commonly used in food establishments. Bottom line, you’re way better off cooking with butter or coconut oil because saturated fats oxidize the least. Some people differ as to whether you should or shouldn’t cook with olive oil, and at what temperature. Either way, saturated and monounsaturated fats are much healthier choices than polyunsaturated fats. Eliminating polyunsaturated vegetable oils from your diet will greatly reduce inflammation and cell damage.